In Gal. 2:1-10 Paul explained that the leaders of the Jerusalem Church had approved of his message to the Gentiles, and affirmed that he had been entrusted with the same gospel message as they were. This week we look at verses 11-14. 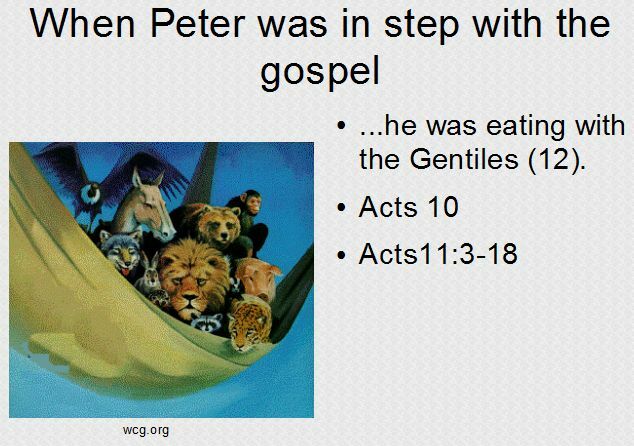 Here we see Peter taking a trip to the Church at Antioch, a Gentile church which had served as Paul’s launching point. A problem had developed at Antioch during Peter’s visit. It involved the Jewish believers, whose conduct was suddenly not in step with the gospel. It was quite different than Jerusalem because this church was predominently Gentile believers. But Peter had already learned God’s lesson that he should not consider unclean what God accepts. God showed him that truth through visions in Acts 10-11. So Peter fellowshipped freely with the Gentile and Jewish believers alike. But then the troublers came. These appear to be the same kind of troublers that are threatening Galatia, and that’s why Paul brings up this story. As soon as the troublers came, they insisted on dividing up the church into the acceptable and unacceptable. Peter had a choice to make. He could continue fellowshipping freely based on what God had shown him, or he could cave in to the peer pressure. He made the wrong choice. He drew back and separated himself. 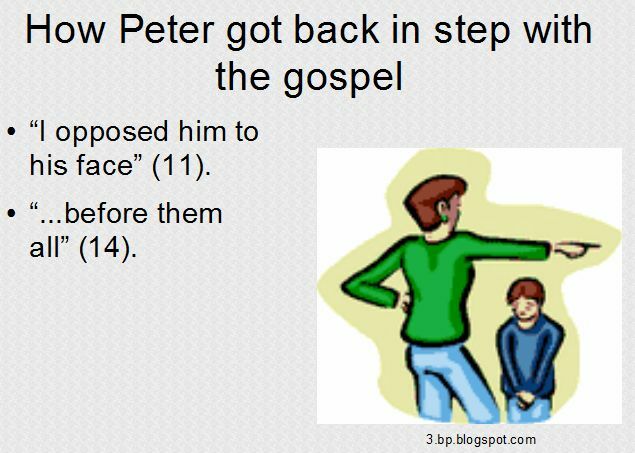 Remember, Peter was a respected leader in the Christian church. As such, his choice was not just an individual choice. It was a leadership choice. Sure enough, the rest of the Jews acted hypocritically along with him. 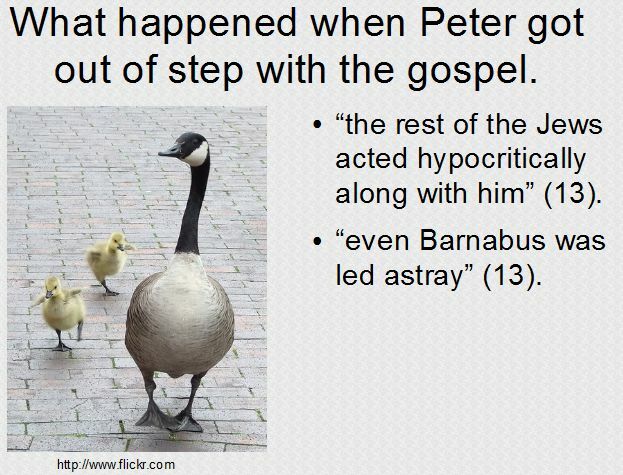 Even Paul’s good friend and co-worker Barnabus was led astray by Peter’s actions. Now it was Paul’s turn to respond. He could have done the same thing Peter did, claiming Peter’s authority. That would have been the easy thing to do. But there was a lot at stake here. It was not just the traditions of men, whether Jewish or Gentile. 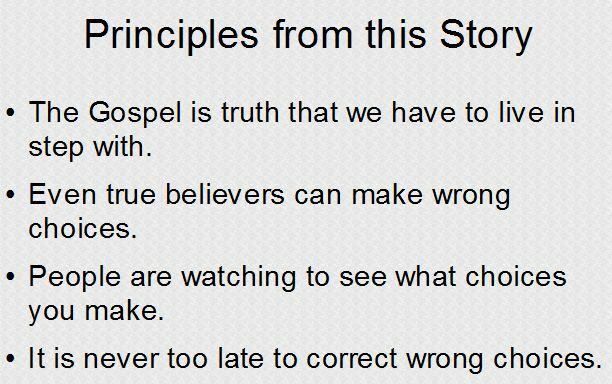 The truth of the gospel was at stake. 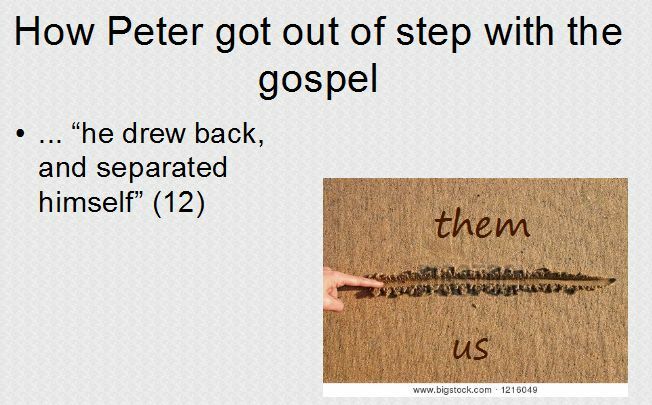 So Paul publically opposed Peter. Paul was being a good friend here. All of us are able to make wrong choices which deny what we profess. If that happens, may God give us a friend like Paul, who cares enough to confront us. 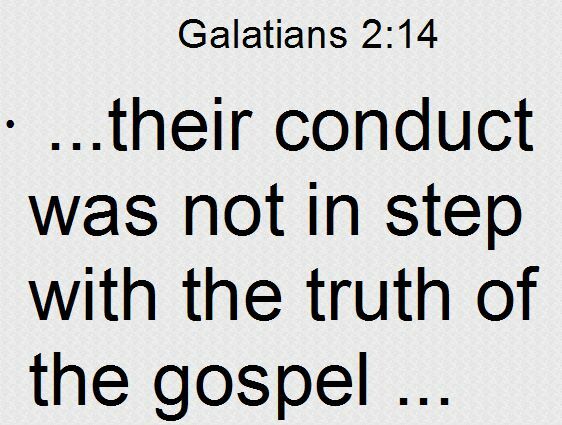 This story is included in Galatians because the Galatian believers were being threatened with the same false teaching that the “certain men from James” had with them when they visited Antioch. The Galatians would have to make the same choice that Peter did. 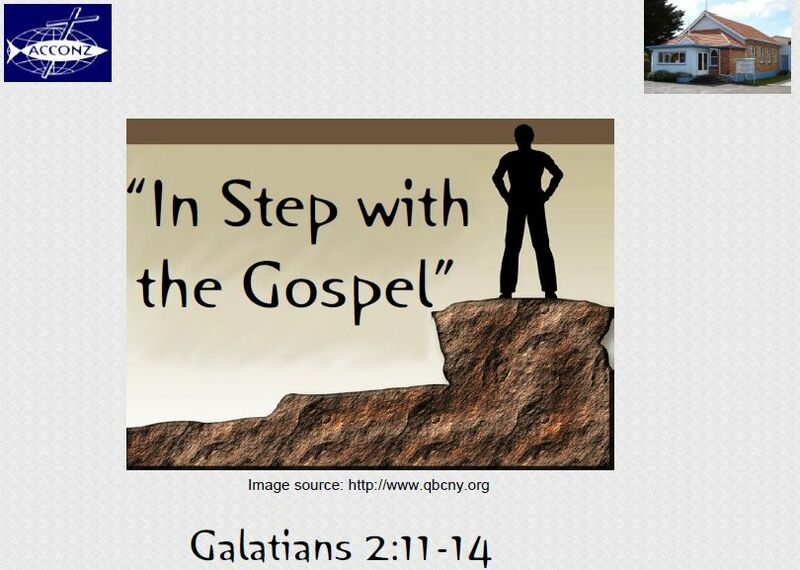 They would have to repent and get back in step with the gospel that they profess. This story suggests a few principles for living like a Christian in any age. When you and I gave our lives to Jesus Christ, we accepted the gospel of the kingdom, and agreed to live by its principles. Are we still living by those principles? Have we taken on any new habits and practices since then? LORD, help us to examine ourselves to see if we are still living by the gospel that we accepted when we first came to you. 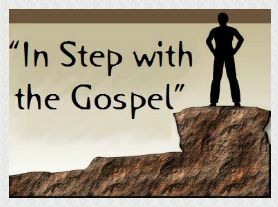 This sermon was preached on Sunday, June 13th, 2010 at Takanini Church of Christ, Auckland, New Zealand.